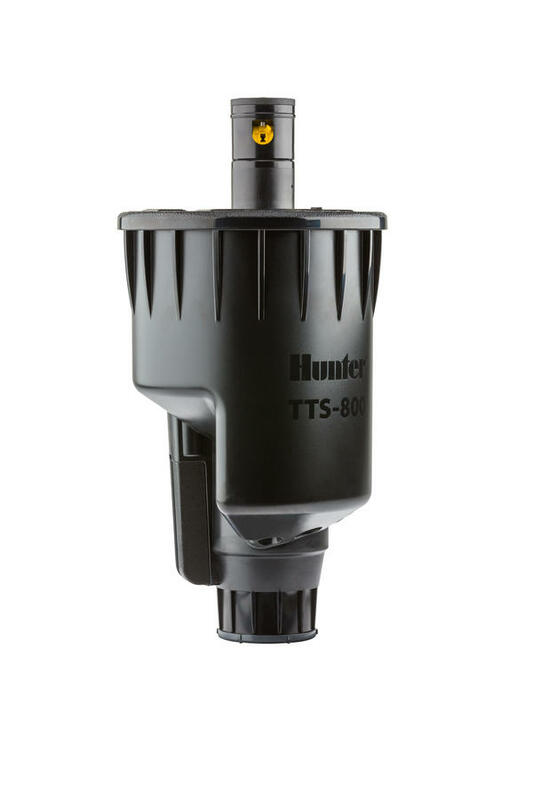 TTS-800 Series rotors provide maximum uniformity and longevity in the field. 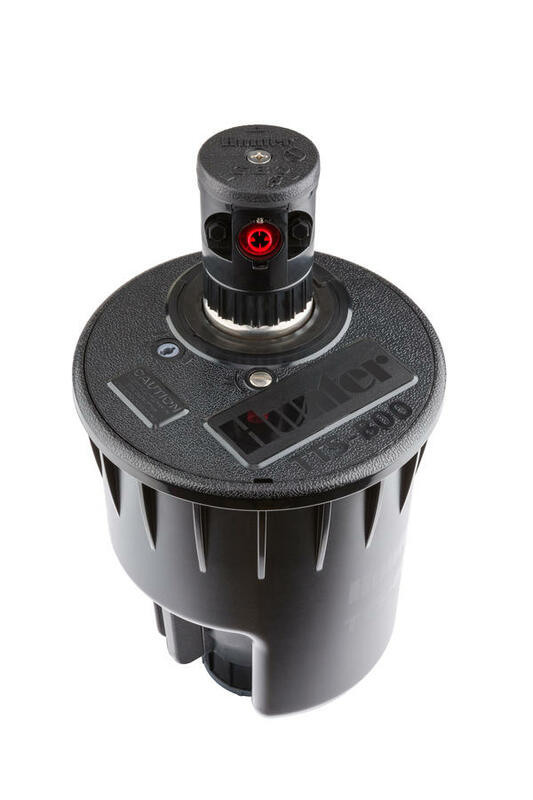 The high-torque gear drives are the strongest in the industry, so the challenges of reclaimed water use or poor water quality are mitigated. 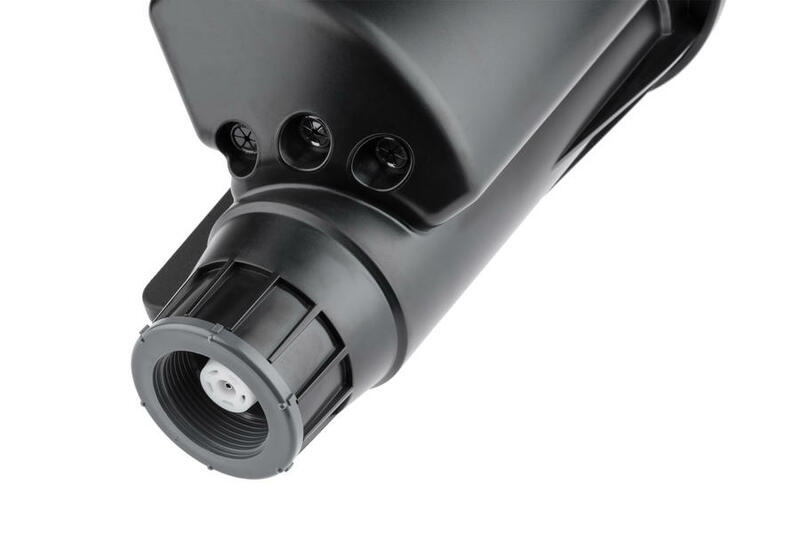 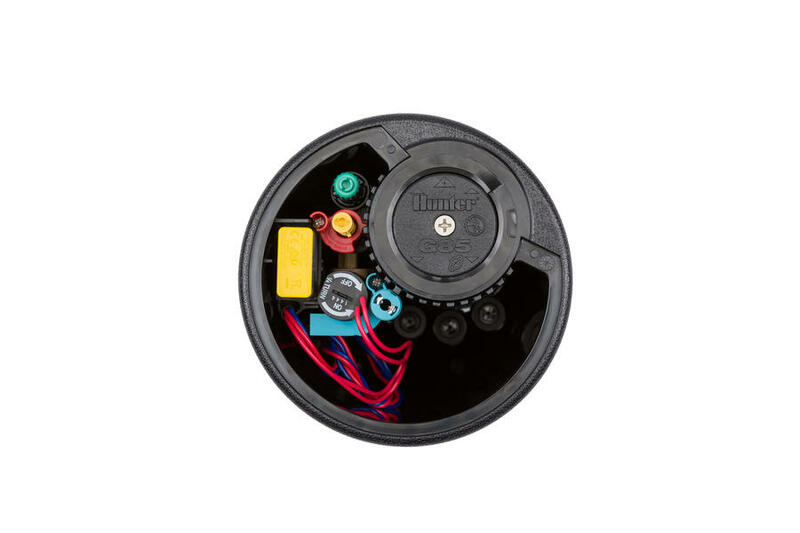 An extra-large, fast-access flange compartment comfortably accommodates wire connections and other components. 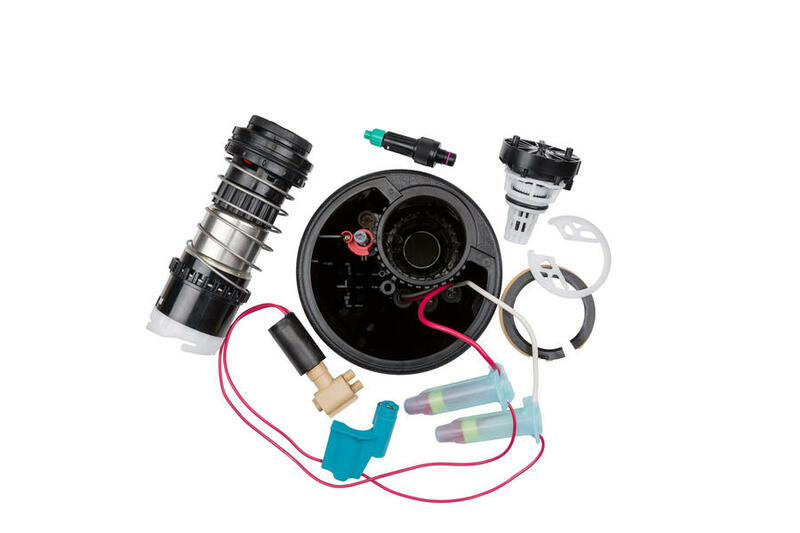 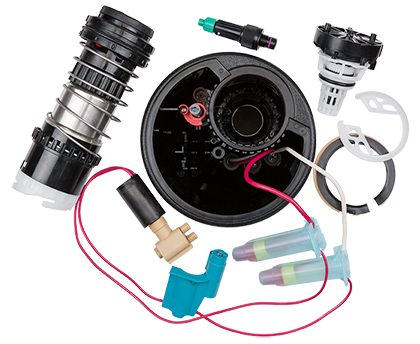 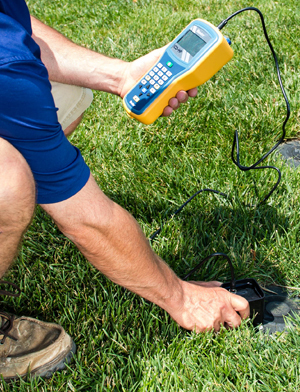 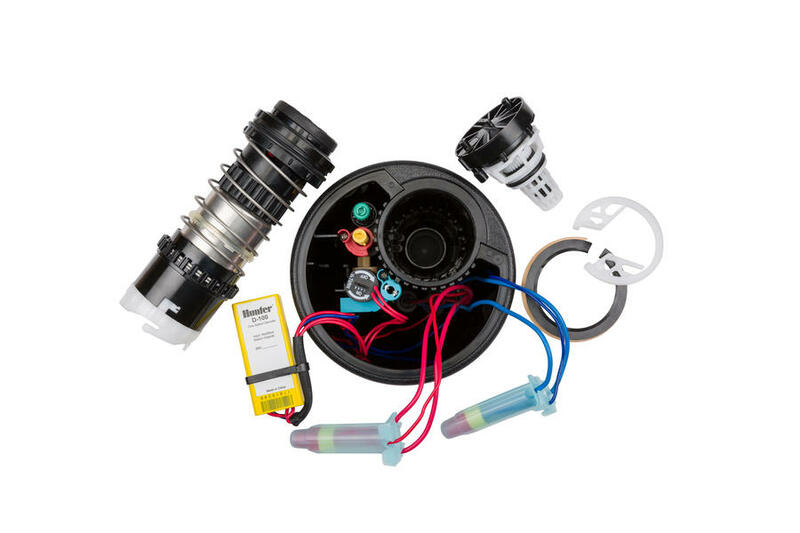 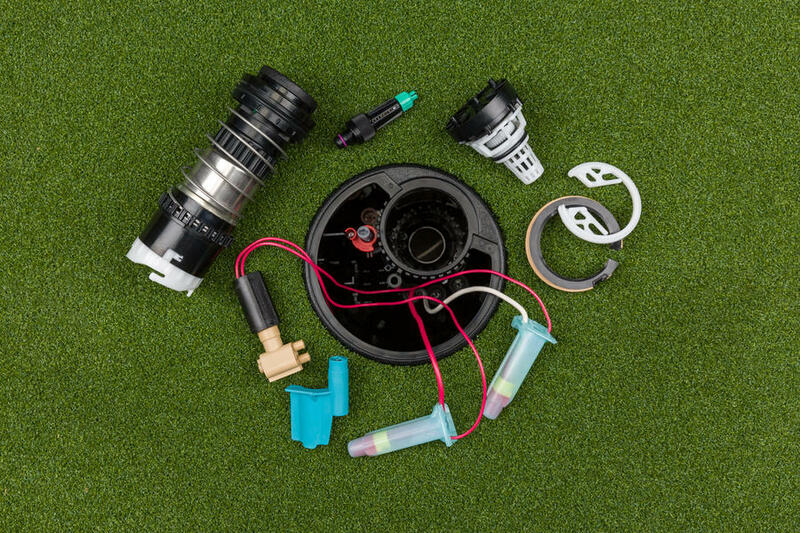 Convenient, no-dig Total Top Serviceability means routine maintenance is a breeze. 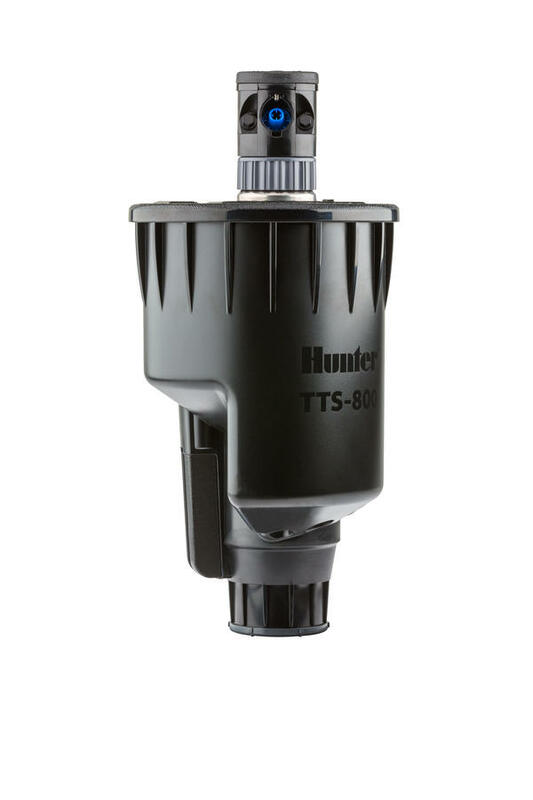 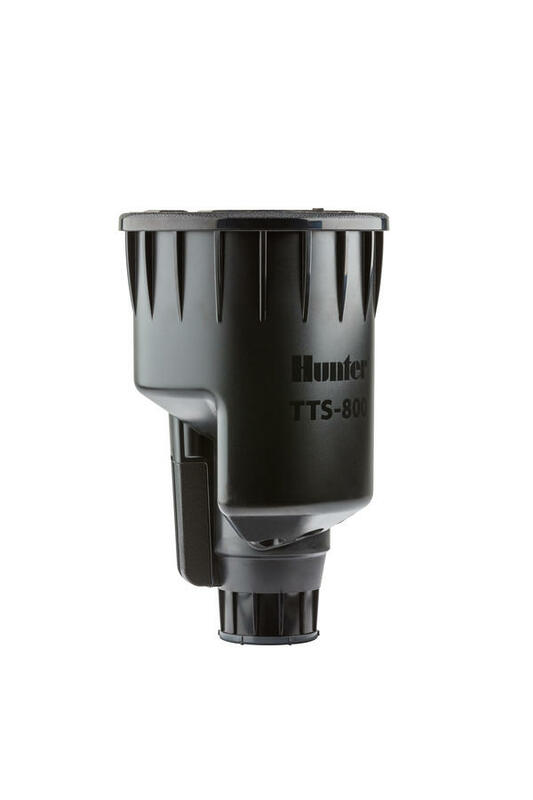 Hunter's revolutionary TTS (Total Top Servicing) design offers unique features and benefits that are designed with serviceability and innovation in mind. 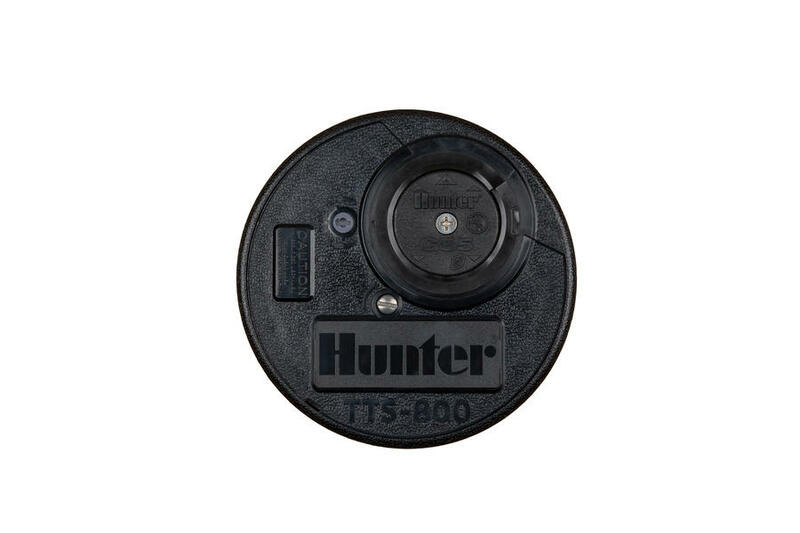 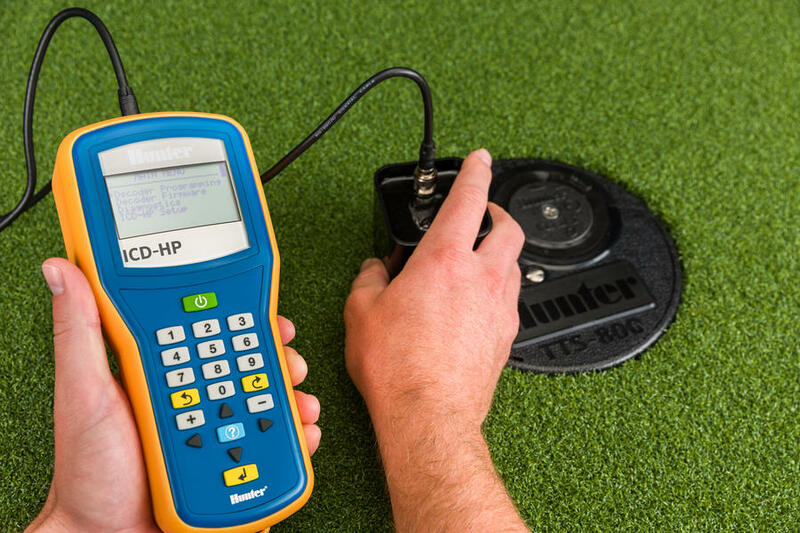 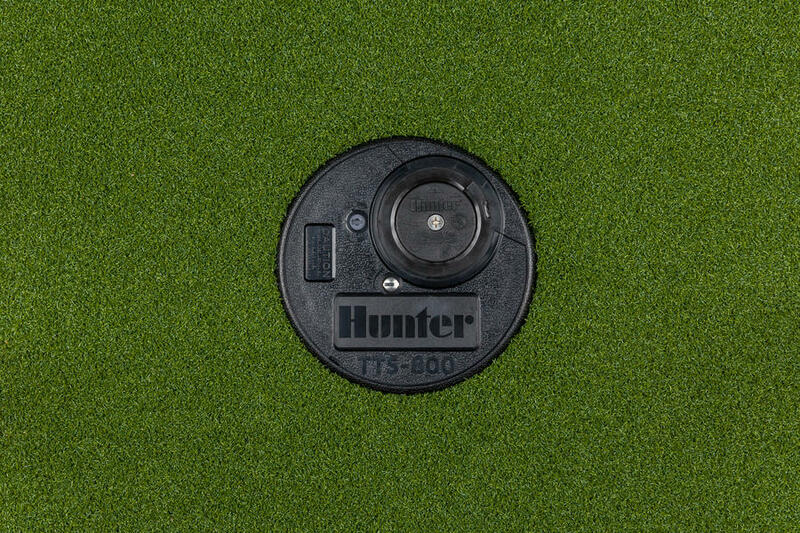 Click HERE to see all the TTS Advanced Features and why a Hunter Golf system is the right choice for your course. 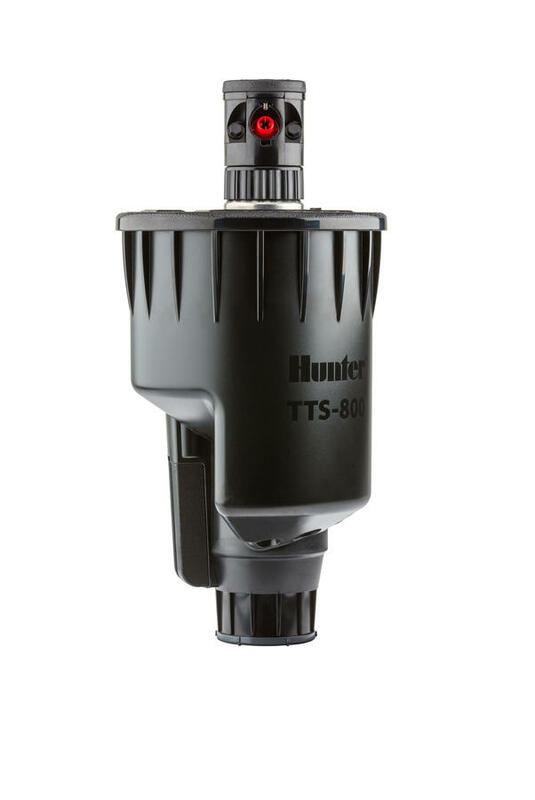 Factory configured DIH rotors with integrated two-way modules are available for all TTS-800 Series rotors. 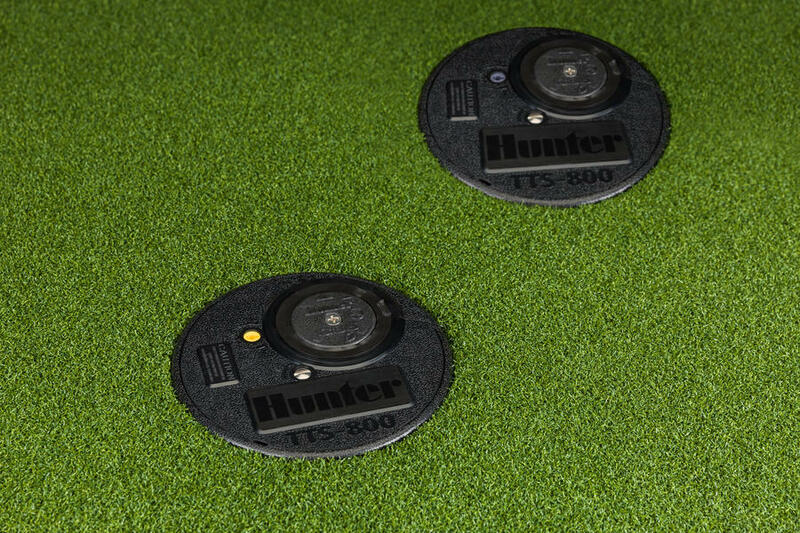 All DIH rotors include Hunter's wireless Total Top Programming technology. 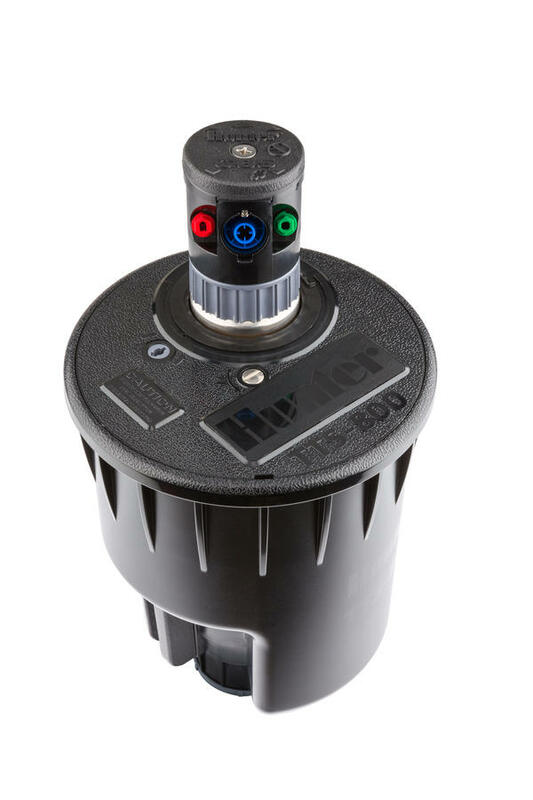 Whether before, during or after installation, the two-way module can be diagnosed and programmed without rotor disassembly. 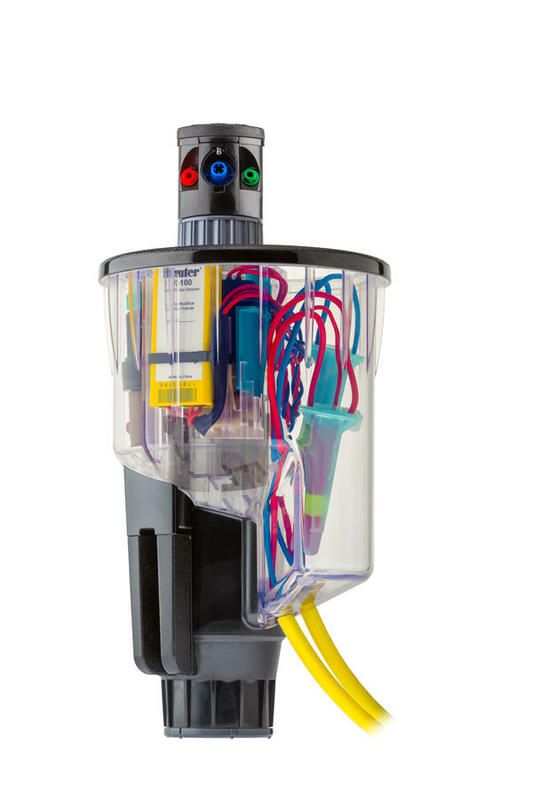 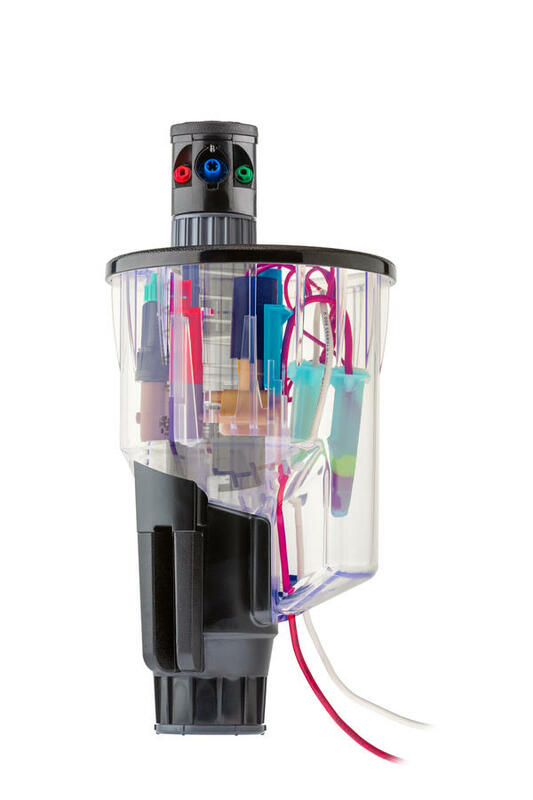 Exclusive Filter Sentry scours the filter clean with every valve activation and de-activation. 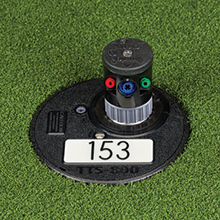 This valuable feature is standard on every TTS-800 rotor. 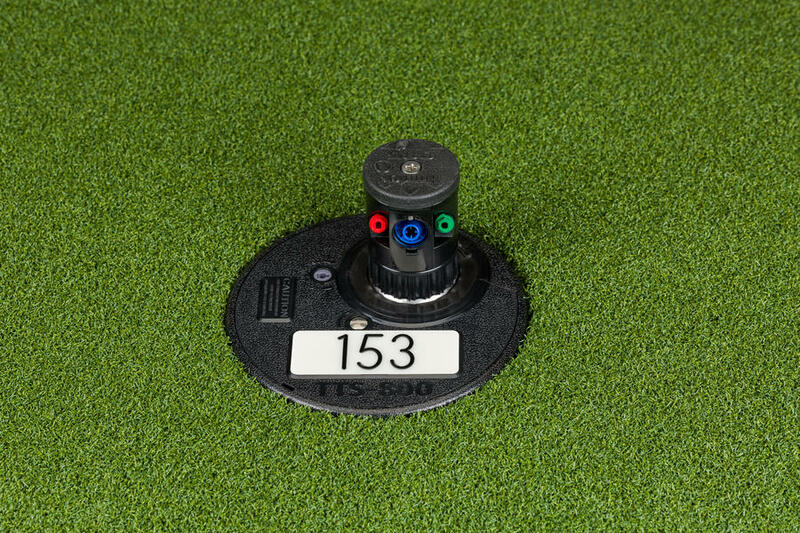 Extra-large snap-in marker plates are available in standard black as well as optional red, white, and blue to meet every golf course preference. 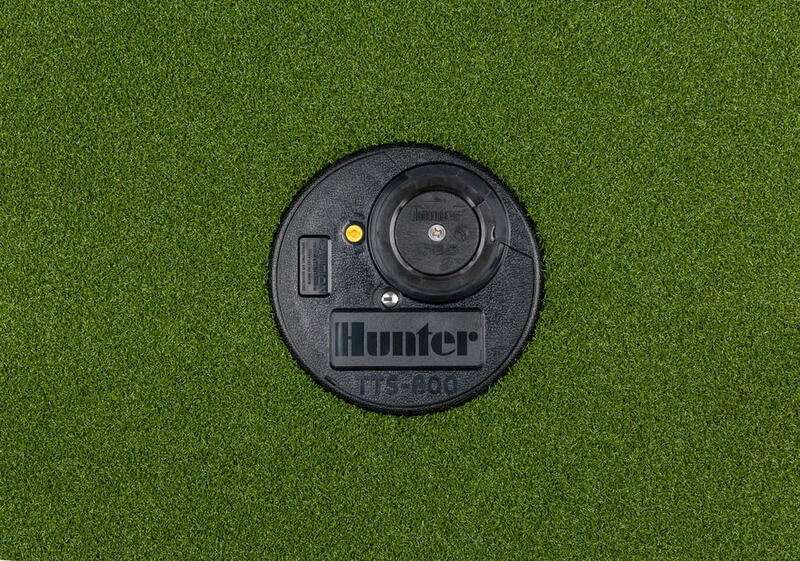 Or, choose the purple plate for identification when courses are using reclaimed water. 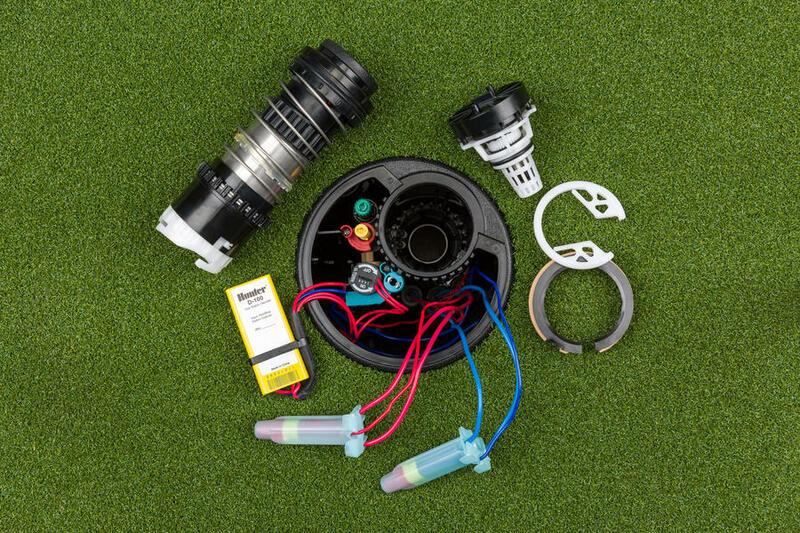 *All DIH rotors include two 3M DBRY-6 splices for connection to the two-wire path. 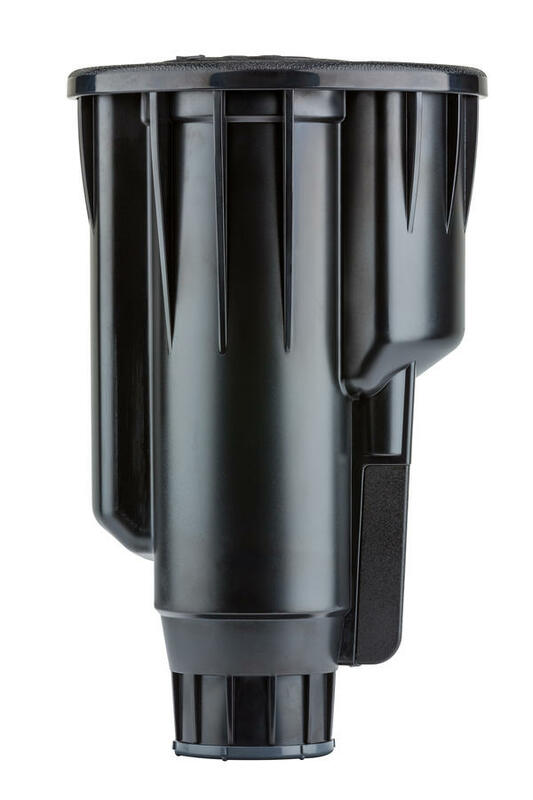 Note: Nozzle plug P/N 315300 installed in the front side of the nozzle housing. 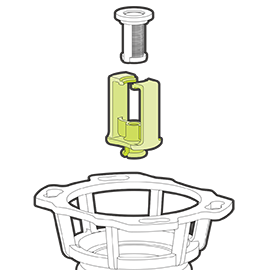 ACME Threaded Inlet Size 1½" 1½" 1½" 1½"